This property was sold by Janice Baker. 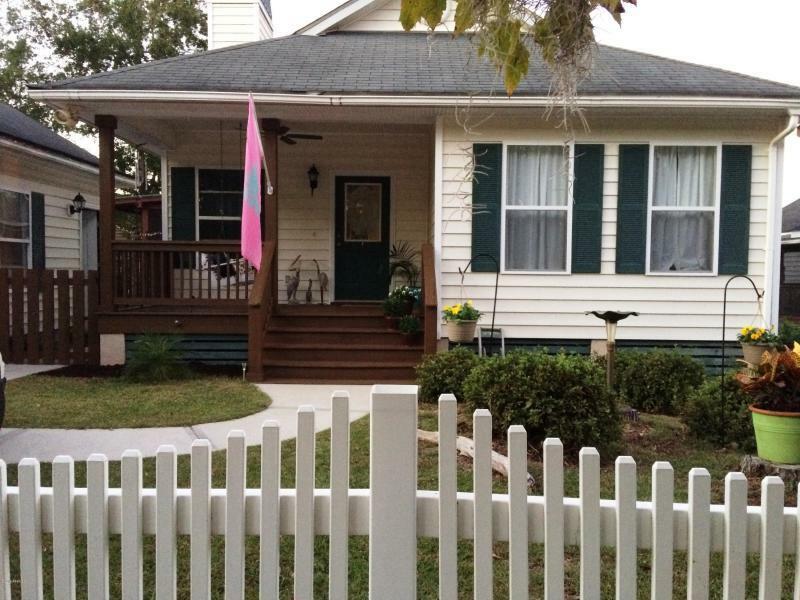 This listing is courtesy of Lowcountry Real Estate. For similar results, feel free to contact Janice at 843-540-9096. Lowcountry life starts here with expansive outdoor living areas to enjoy in this waterfront community! Starting with the extra large screened in porch with direct access to one full bathroom, open deck with fire-pit, along with (living) fenced rear yard to enjoy. Located in Picket Fences gated community with neighborhood amenities featuring swimming pool, playground area, walking trails and community dock with gazebo to take in those lazy days by the Beaufort River. One level home, 3 bedrooms, 2 full bathrooms, fireplace, open living/ dining area, spacious master bedroom with walk in closet, garden tub and additional shower. Ample closet and storage space, separate garage room would be perfect for a ''man cave'', playroom or easily convert into garage for parking.